Nestled in the Forest is this beautiful, wood mountain duplex. 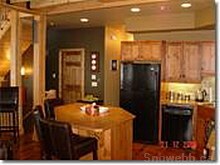 The property offers excellent ski in/ski out access, ideal for enjoying the champagne powder of Big White. The 3 story house plan is laid out perfectly for those family getaways. 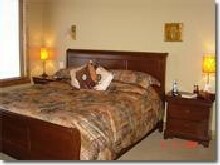 The unit has four bedrooms. 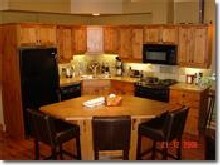 There is a fully equipped kitchen including microwave, fridge/freezer, stove and dishwasher. 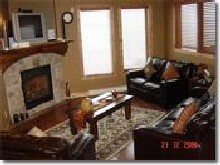 The living room has a gas fireplace and plenty of comfy seating. 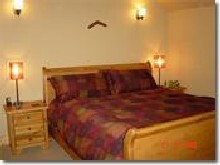 Out on the private deck is a hot tub to appreciate the fantastic views of the Monashee Mountains.